Joshua lives in the Garden Of Color and Light, an idyllic paradise where he is always playing and having fun. Each day is like any other, until he finds a magical golden acorn that enraptures him and propels him on an incredible adventure. After being guided to chase the acorn as it flies through the garden, Joshua discovers a door at the base of a tree, and once he enters his life changes forever. Desperate to return home, he sets about exploring this unfamiliar environment. He encounters sticky situations and meets wily characters along the way. Fortunately he does not have to face them alone. His guides are the mystical creatures that live inside the tree, called Devas. They are keepers of ancient secrets that can help Joshua to cope with the obstacles he encounters and the challenges he meets. This spellbinding story overflows with challenges, magical creatures and mystical superpowers, which you too will discover along the way. “The Midas Tree” is a spiritual adventure novel aimed at a middle grade to Young Adult audience; although all the adults who have read it like it too. 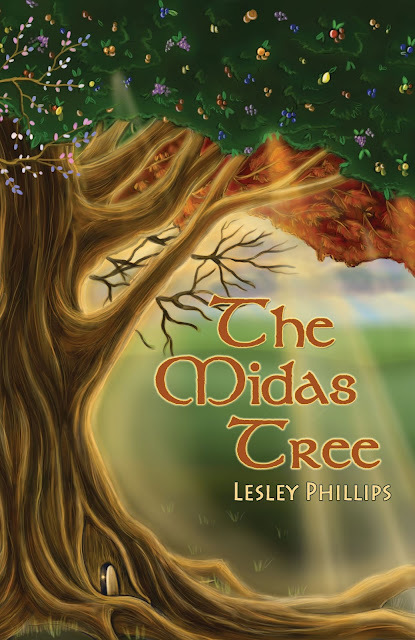 The Midas Tree is a book of light that offers techniques that can help all people cope when they are going through difficult times in their lives; as well as illuminating the path to personal enlightenment in a fun and entertaining way. 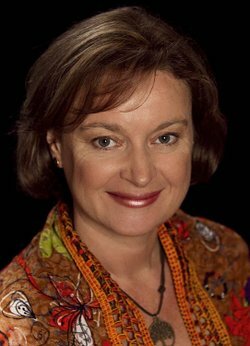 Dr Lesley Phillips says her path is to empower others to take charge of their lives by teaching them to meditate and develop their intuition, healing ability and creativity. She wrote her first book, The Midas Tree, because she wanted to make learning how to meditate fun for everyone, including kids. Lesley grew up in the UK and Australia and has lived in Canada since 1998. Before becoming an author and spiritual teacher, she was a biologist and a business woman. Though told to be a young adult book, I actually find it acceptable middle-grade reading. A story about a different kind of fairy basically, called Deva, and my impression of Mother Nature... A.K.A. Morfar, and this boy's journey in a magical place. Did I love it? No, but I did think it had something special about it. These lessons Joshua learned throughout. Really well-crafted and stuff you would want your kids reading. The end of this book is what I could have had come together better. It felt rushed and not quite complete. At least no lessons were waiting to be completed, so that made the ending bearable, but not lovable. Not bad for a debut book though! I'd read more by this author. **No compensation was received for posting. Compensation will be earned if purchases are made from the links within. This copy was obtained free on Amazon. Opinions are owned by Freda's Voice. Sounds like it has an interesting dual purpose.